Amy Wraps Babies exists to provide inspiration, resources, and support to caregivers in the art of babywearing with woven wraps. At AWB, wrapping serves so many purposes - being close to our babies in the most perfect customizable fit, feeling like a rock star after tying shapeless fabric into a secure baby carrier, and the versatility to carry newborns to toddlers - sometimes both at the same time! - as we multitask fulfilling our responsibilities. For these reasons and more, Amy works to spread the joy of woven wraps by sharing inspiration and encouragement, educational resources, and always support and love in babywearing. My babywearing started out of pure necessity: in 2004 we were traveling with our first baby and needed a stroller-free way to get around. We tried the Baby Bjorn and were amazed at the benefits it gave us: hands-free carrying, great snuggles, reduced fussiness (for everyone!). 2004 at Navy Pier while traveling in Chicago. 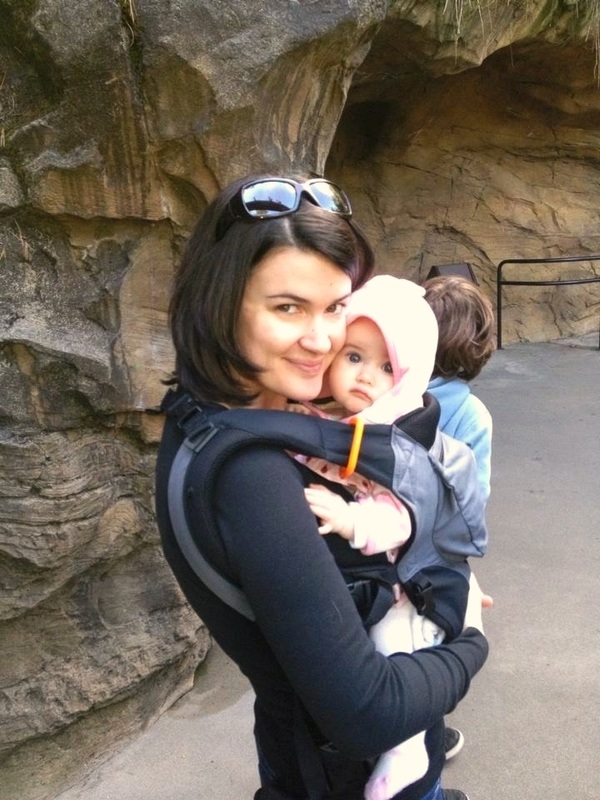 I'm a white woman with dark hair and dark clothing wearing my white son at 11 months, forward-facing in a Baby Bjorn. 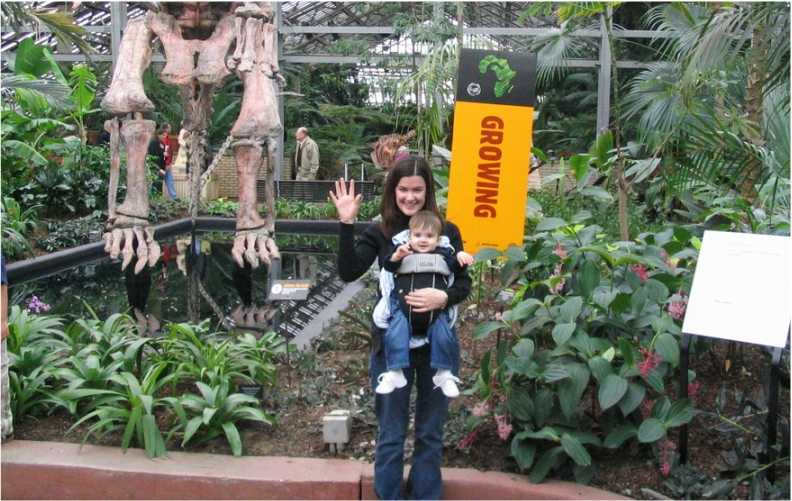 I am waving at the camera, he is smiling, and there are leafy plants and dinosaur bones in a touristy background. 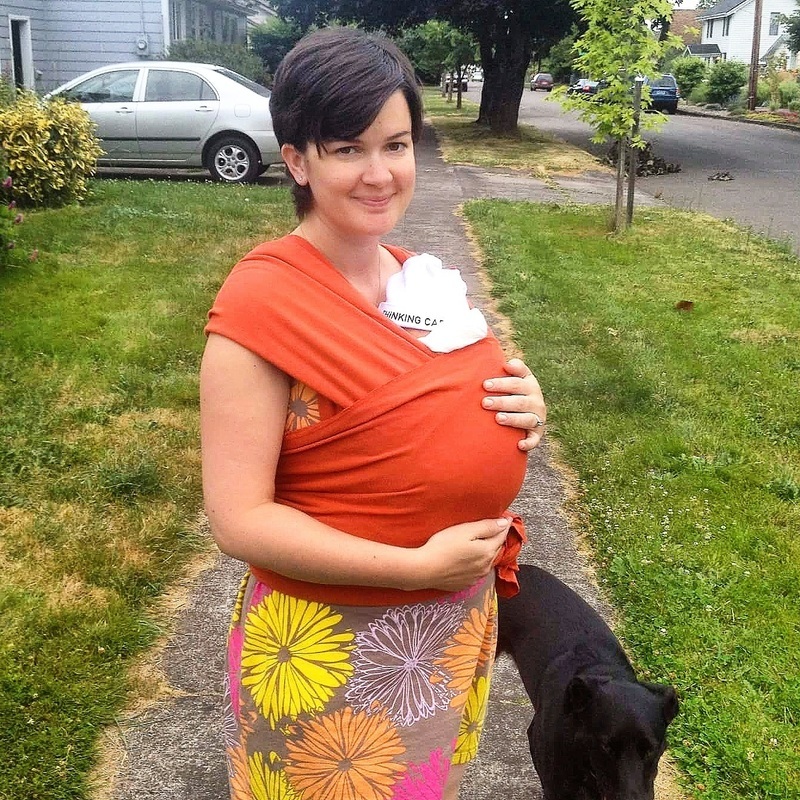 Fast-forward to having our daughter many years later and we discovered the Moby Wrap and Ergo carriers. I could tell this set up was closer to what I needed, but I hadn't quite hit the babywearing jackpot yet. 2012: Our daughter at two days old in the Moby. I am wearing her while on a walk in our neighborhood. I have short dark hair and the baby is wrapped in an orange stretchy wrap. Our black dog walks behind us and we are standing on a sidewalk with grass on either side of us. 2013: At eight months in the Ergo. My hair has grown to shoulder-length and I am wearing my daughter in a grey and black Ergo in a front carry (facing in). We are in front of a rocky zoo background.Babywearing was becoming more fun, but still wasn't an obsession for me. It was definitely a great way to get around without a big bulky stroller, though! Then one day everything changed. I found a woven wrap company called Tekhni Wovens. I was captured by their patterns and impressed that the vast majority of their wraps were woven in the USA. I had to learn more about these magical woven wraps, even though my daughter was well over 2 years old and my next baby was at least six months from being born. Ii was finally really satisfied with a baby carrier, though, and the rest is history. 2015: Our daughter at 3 years old in my first Tekhni wrap, wrapping a Double Hammock for the very first time! 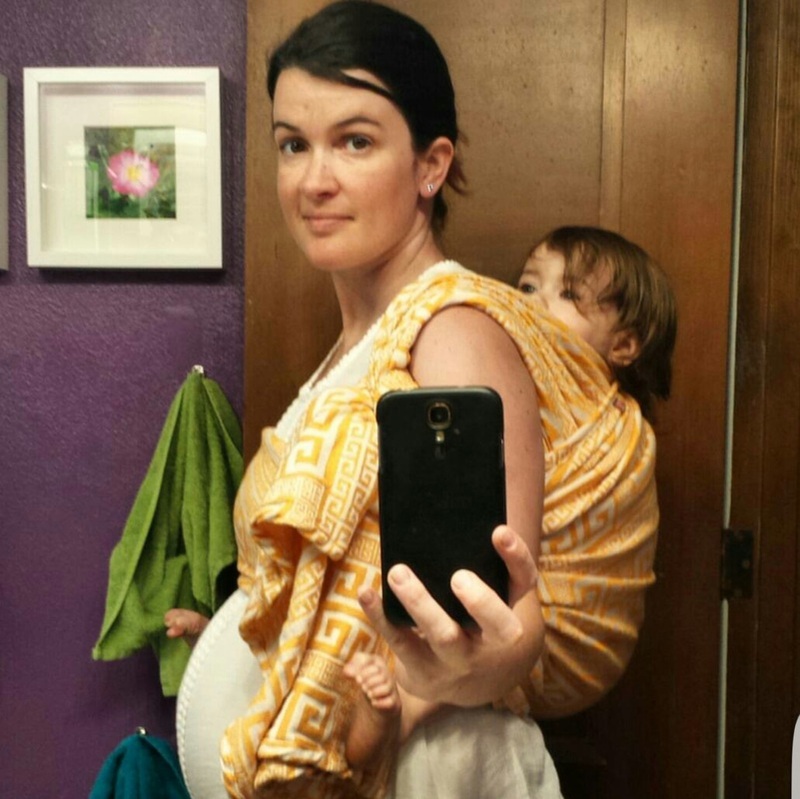 I'm taking a selfie in the bathroom mirror with my hair tied back and my daughter on my back in an orange and white wrap with a meandros pattern. It is not the neatest wrap job.